Discover Beatrice- Nebraska- and all it has to offer while staying at our hotel- the Americas Best Value Inn Beatrice. Our property is ideally located on North 6th Street. Local area attractions include Charles Park- Gage County Museum- and Beatrice Speedway. 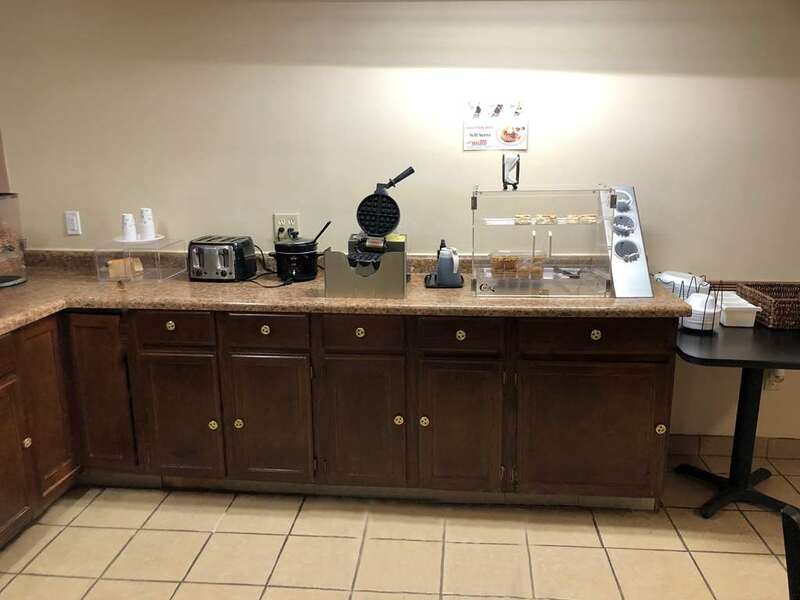 Start your daily excursion in fine form by enjoying our complimentary continental breakfast served daily. Guests also have the luxury of choosing from the many local eateries in the immediate area. Our knowledgeable and helpful staff will recommend what best suits your taste buds and are always happy to help in any way. Pets are welcome - charges and restrictions apply. Enjoy the ambiance of your private guest room home amenities such as free Wi-Fi- 32 inch flat panel cable TV- Showtime- microwave- mini-fridge- free local calls- and much more. Americas Best Value Inn Beatrice is your best choice when visiting the northwest region of Nebraska. Whether you are visiting for business or recreation- there is certainly something for everyone to enjoy during your stay with us. At Americas Best Value Inn Beatrice- We*ve Got You Covered from the time you hit the road until your head hits the pillow. Discover Beatrice- Nebraska - and all it has to offer while staying at our hotel- the Americas Best Value Inn Beatrice. Our property is ideally located off 6th Street. Our address is 3210 North 6th Street- Beatrice- Nebraska 68310.